Viacom’s U.S. advertising revenue witnessed another mid-single percentage decline, while it suffered a double-digit drop internationally. Viacom’s domestic U.S networks were down 3.2% to $907 million in its fiscal first quarter, dropping 12.9% internationally to $323 million. Total company advertising sales were down 6% to $1.2 billion. The company was bolstered by continued gains in affiliate fees -- up 2.6% overall to $1.17 billion. U.S. affiliate revenue grew 4.8% to $969 million with international business dropping 6.5% to $200 million. Viacom says U.S. advertising is improving versus the previous quarter, when it was down 4.3%. Efforts from its advanced advertising revenue, it adds, gained 54% year-over-year. Bernstein Research says Viacom’s non-kids viewing fell 9% when looking at total viewer Nielsen’s C3 ratings -- the average minute rating plus three days of time-shifted viewing. Its kids networks dropped 19%, and all Viacom networks for the period were down 12% on average. Viacom’s filmed entertainment Paramount Pictures unit grew 14.2% in revenues to $621 million. Big performing theatrical movies in the period came from “Bumblebee,” “Instant Family,” “Nobody’s Fool” and “Overload,” which help boost domestic box-office revenue by 50% to $190.7 million over the same period a year ago. 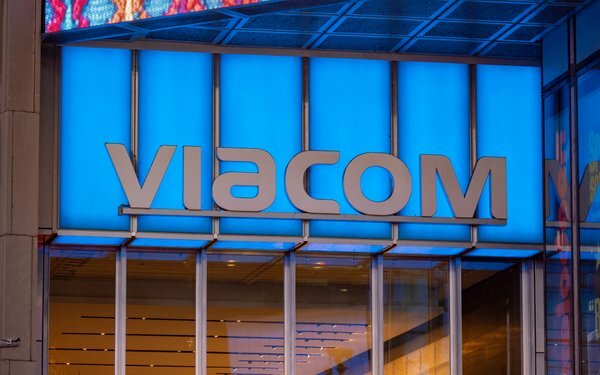 During its earnings release, Viacom touted its announced acquisitions of streaming TV ad-supported service Pluto TV, which will provide Viacom with more than 12 million monthly active users across multiple devices, including mobile, smart TVs, streaming players and game consoles. Company-wide revenues were up 1% to $3.1 billion. Net income from continuing operations was down 40% to $331 million. Early Tuesday morning trading of Viacom’s stock was up 2% to $30.02.